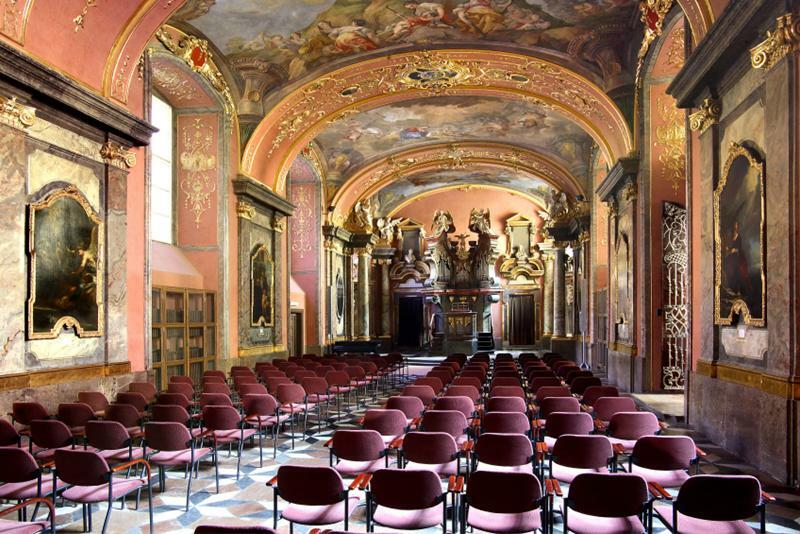 The Klementinum Chapel is absolutely beautiful. Prague is a lifetime dream come true. I have enjoyed my 4-day stay very much and will certainly come back. The welcoming of the Czech people is awesome and Prague is an amazing city for all the art concentrated in such a 'small' area. This is incredible. Thank you for offering various events. They are of good quality with the right pricing. Gorgeous hall with lovely gilding and mirrors. Comfortable seating, and good acoustics. It is a gorgeous place. Giving us a unique architectual experience. The mirror chapel is a very nice location for concerts. A superb venue and very atmospheric. We would definitely come back! Thank you. speechless. perfect for baroque/classical music. The venue was clean and nice. It was heated which was nice for a winter night concert. It was quaint and intimate venue. Beautiful chapel, warm and welcoming. You ask ticket holders to be there 20 minutes prior but don’t open doors until 15 minutes before. Promptness to enter venue would be appreciated. The Mirror Chapel is a unique venue for its grandeur. Acoustics excellent, setting beautiful, chairs uncomfortable after about 30 minutes. A great chance to enjoy the beautiful room. The mirror chamber was beautiful, highly recommend. Nice historic and small venue. A beautiful building, with comfortable seating. It was a little difficult finding the entrance to the building, once on the grounds. More or better signage would help. In Australia it is not possible to attend a concert in such a historic venue. So it was a real treat for us to enjoy this event in the beautiful and historic Mirror Chapel. Worth a visit to see the organ that Mozart played. Très belle salle dans un ensemble architectural très joli. Bien situé, facilement accessible ! Loved the venue! The only thing I wish was different was that it was a little hot throughout, it would have been nice to have opened a door or had some more fans going on before. Beautiful design and history of the Klementinum and Mirror Chapel. Perhaps consider bringing in fans into the Chapel during summer? It was quite hot inside during the concert. The venue was excellent. It was a special experience to listen to music in such a wonderful venue. The Klementinum was a wonderful venue. Don’t hesitate to book this ticket either before you arrive or see if they have tickets on the day you are visiting. I would definitely take advantage of a couple of performances while you are visiting Prague. You will not be disappointed! The event venue was great. An absolutely amazing space with excellent acoustics. Visually stunning and acoustically vibrant. Price was a little expensive, but otherwise, it was a wonderful venue. Lovely and convenient access. Accommodated wheelchair for elder patron. The Mirror Chapel is simply breathtaking in its beauty. Good acoustics. Comfortable chairs. Rather warm and stuffy. The venue was beautiful, a great place to hear wonderful music. Mirror chapel is beautiful and has very good acoustics. The Klementinum Mirror Chapel venue was spectacular (and has wonderful acoustics), and the performers were outstanding as well. It was also cool day in Prague but the venue was nice and warm which made it even more enjoyable (some of the other venues can be quite cool at this time of year). Very beautiful venue, only wish I had booked a tour. Fantastic. The Place could not be better. Really good acoustics which enhanced the enjoyment of the music. It was beautiful with good acoustics......and it was nice and warm! Small venue made it very up close and personal. The venue took us back in time to a period which was gracious and slow. A lovely room with great atmosphere for the concert - but try to get a seat near the front otherwise you won't see much of the performers as they are not on a raised stage. Such a unique venue, featuring an organ once played by Mozart. Unique venue, great acoustics, in the very heart of the Old Town. Nice venue, chairs in the back not the most comfortable but the surrounding are nice and acoustics were good. Beautiful place, although a bit too warm in the summer. Coming from a town with little history it is a welcome change to enjoy such a setting. The mirror chapel has a wonderful scenic interior with great acoustics that really allows the musicians to bring their performance to life. Beautiful ballroom with great acoustics!